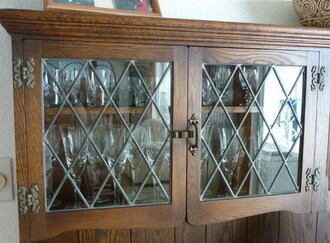 art glass serves well in cabinet doors for kitchen, bar, or living areas. 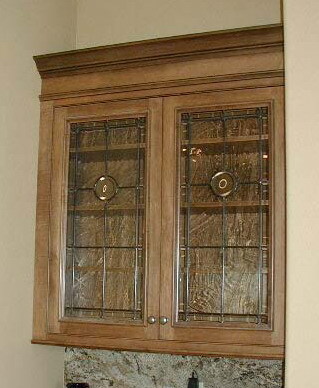 with the addition of variable backlighting, your cabinets can be changed from ho hum cabinetry into environmental lighting fixtures. 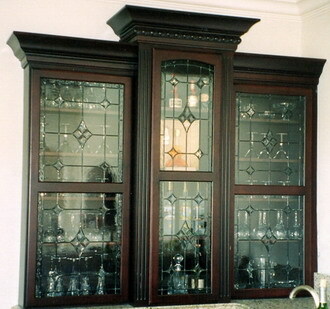 with some modification, art glass can often be installed into existing cabinet doors that have a fixed wood panel mounted in the door frame. 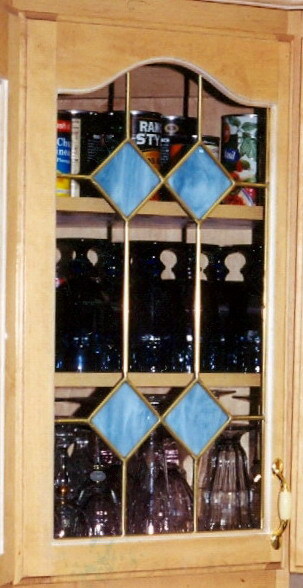 one of two kitchen cabinet doors. 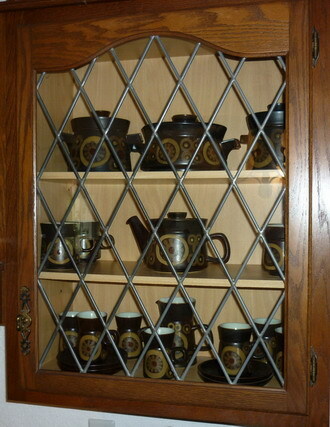 two of four two cabinet doors. 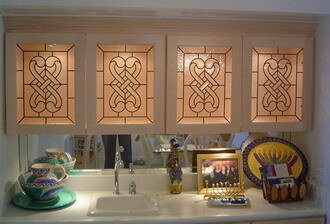 four lighted wet bar bevel cluster panels. 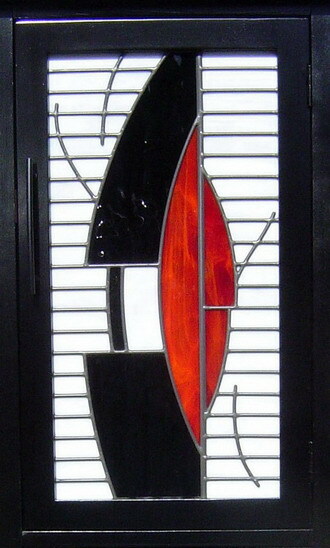 free standing cabinet with lighted contemporary design door panel. 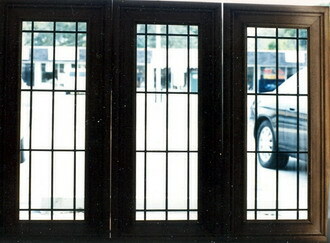 bevels and clear textured glass. 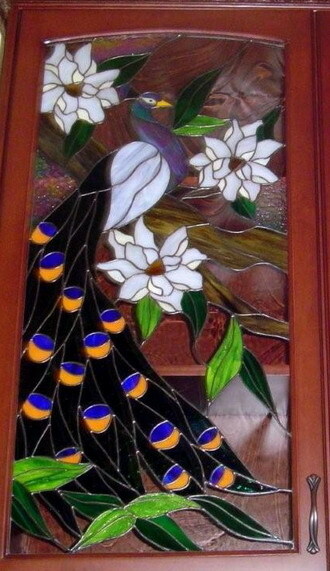 one of two peacock and flowers panels. 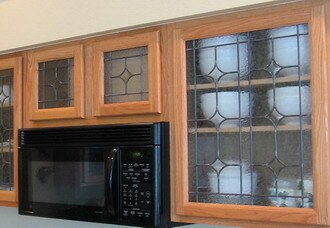 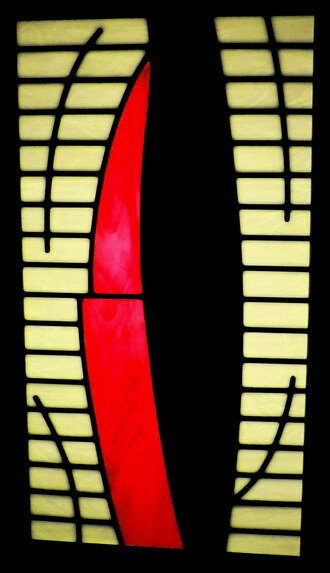 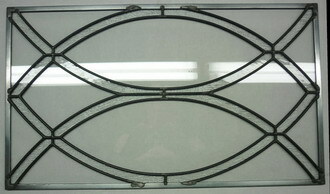 modifying a wood panel cabinet door for a glass panel.